Pathways Psychology Services offers a variety of counseling services for children and adolescents including individual, family, and group therapy services to address a wide range of concerns and symptoms identified in children. We understand that counseling a child or teen requires a relatable and comfortable approach to ensure cooperation and engagement. Our philosophy is to unite the child, family, and therapist toward working together to reach common goals. Our therapists and counselors combine research-proven strategies of Cognitive-Behavioral Therapy with a personal and supportive approach in addressing mental health and emotional problems. Cognitive-Behavioral Therapy is a type of counseling that involves helping the child or teen to explore how their thinking and beliefs affect their problems as well as strategies to effectively manage and change thinking and behavior. This type of counseling can also involve behavioral strategies to increase emotional control and help families provide rewards and consequences to change behaviors and increase cooperation. Therapy can help children and adolescents implement more effective approaches to interpersonal relationships, academics, family life, and overall physical and emotional health. Our counselors and therapists are knowledgeable in specific therapy strategies that are effective with unique problems and combine knowledge and experience in providing the most effective treatments for children, teens, and families. 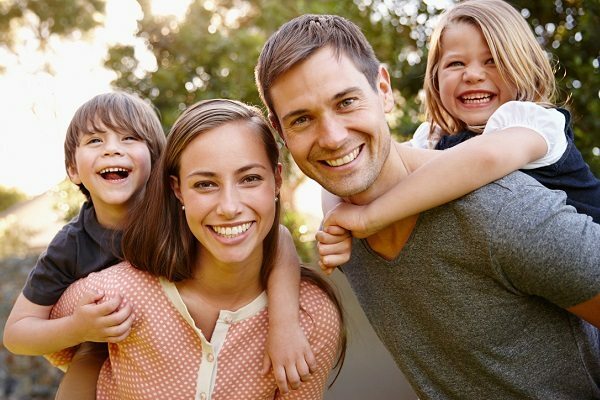 Family therapy can be a useful approach to addressing various emotional and behavioral problems with individuals in a family or addressing overall problems in family functioning. Goals in family therapy can include improving communication, developing effective behavior plans to help change behavior in children or teens, and helping families to more effectively support one another. The family counselor works to provide a framework for more effective communication and problem-solving within the family unit. Family counseling is sometimes included in addition to individual therapy with a child or adolescent or can be a primary mode of treatment for many types of problems. Family therapy has been shown to be effective in treating a number of emotional and mental health problems. Family counseling can also include strategies to help parents become more effective with their children. Children with emotional, behavioral, or developmental disorders can present unique challenges for parents. Traditional parenting strategies that have worked on other children or even with siblings may not be as effective with children with other issues or temperaments. A family therapist can provide objective feedback from a professional perspective outside of the family. This can allow for parents and family members to gain increased insight and make adjustments to improve communication and relations within the family. A family therapist may also assist and support parents in creating behavior plans to increase compliance and reduce conflict in the home. Family therapy also works to restore cooperation and create a mutually supportive environment within the family. Pathways Psychology Services offers teen counseling and adolescent counseling to Naperville, Wheaton, Glen Ellyn, Aurora, Oswego, Geneva, Winfield, Carol Stream, West Chicago, Bartlett, Downers Grove, Plainfield, and surrounding IL communities.